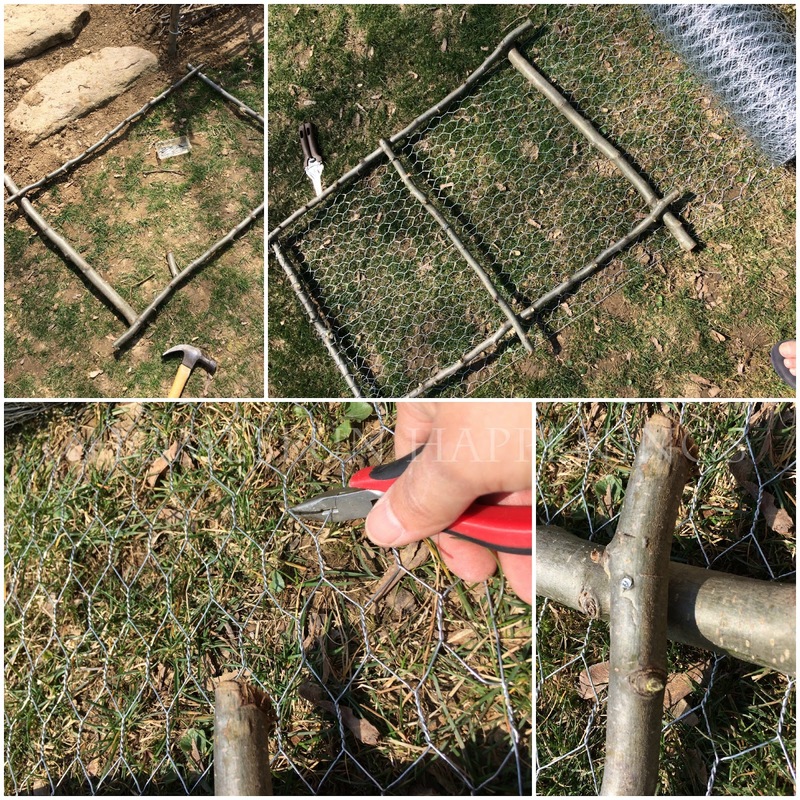 A few of you have asked me to share how I built my garden fence. This is how my garden looked last spring. I was so excited about my cold boxes I built. I still have English lavender growing in the one box. Little did I know then how many bunnies come and feast on my flowers and plants. We did get some fruit from our labor, but I wanted to have a fence around my garden this year to make sure those bunnies stay outside the garden! I could not have done this without a sweet friend that shared her pear tree trimmings, my hubby, and my son. First we cut some thicker branches to use as stakes, and we staked them around the garden area. 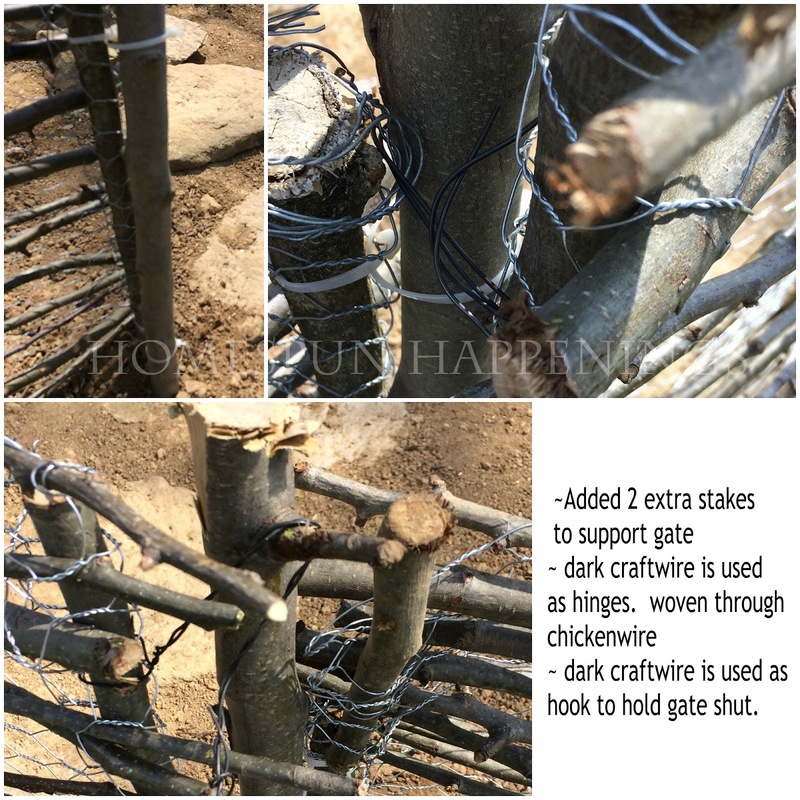 These stakes are what we attached the chicken wire to, using zip ties. 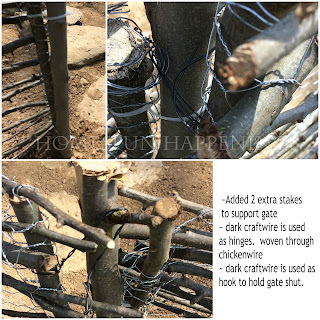 I wove the extra branches through the chicken wire at the ends of each section to look like it is woven between the stakes. I wanted the garden to look rustic and natural--chicken wire kind of takes that look away from a garden. 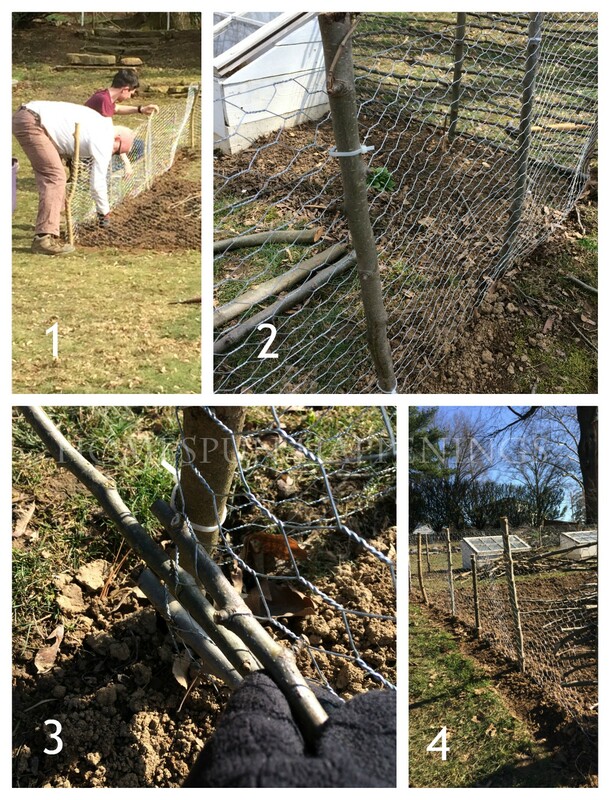 The next group of pics shows how I made a frame for the gate and added chicken wire to the back. I finished it off with the woven sticks just like I did to the sides of the garden. 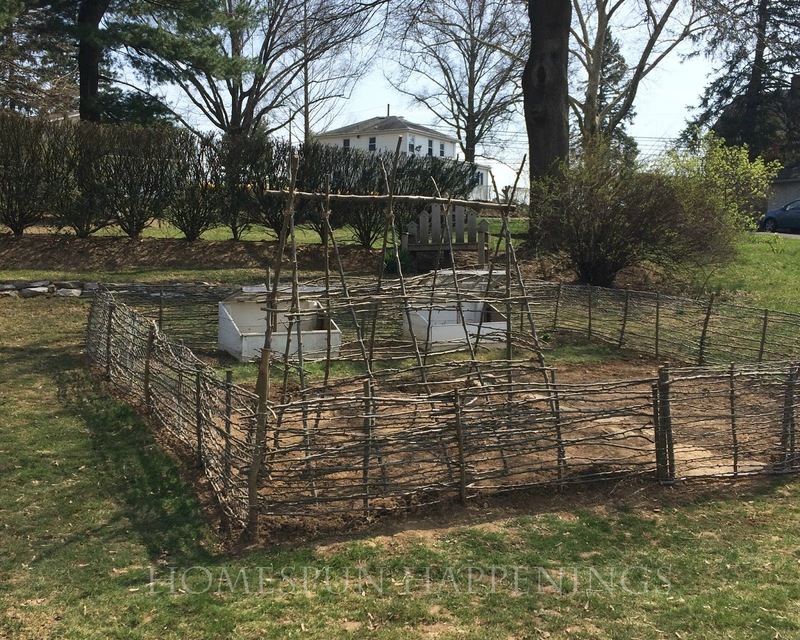 Here is what it looked like on Saturday after my son and I built a trellis for our beans to climb. He also is working on a stone path in there too. The sides are thicker looking up close than what they appear on this photo. I think I am going to gather some more smaller branches to weave around the sides to make it look thicker. I just don't want the sides to get too thick that they cast shadows on the plants. I think you all did great work!!! Even the woodpecker tried to help, sending down those tiny woodchips. lol It was great sitting out in the sun & watching you & Miles on Friday, creating your garden wall & stepping stones.